Welcome to the refined and quintessentially English Leasowe Castle - a four star renovated 16th century building. 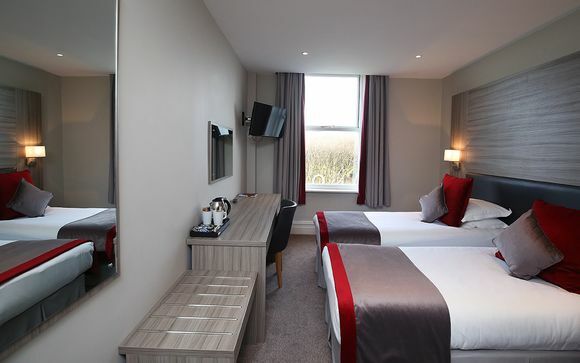 Leasowe Castle is in serene Moreton, just 12km from Liverpool's city centre, so you are able to experience the calm of the coast and the city's charms with ease. Enjoy a 20% discount on food and beverages - enjoy the culinary experiences on offer in this fantastic location! 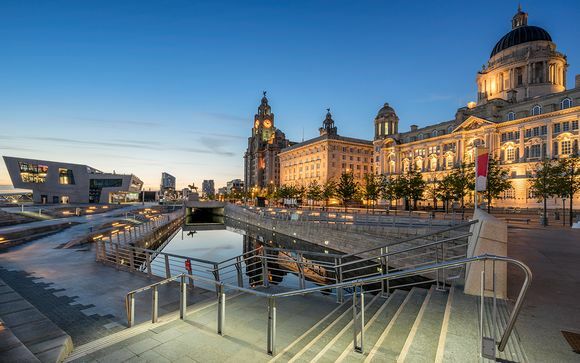 With the largest collection of museums and galleries anywhere outside of the capital, Liverpool’s culture and heritage are at the very heart of the city, from The Tate, to The International Slavery Museum, and of course The Beatles Museum, there's sure to be something to inspire everyone! Art lovers must visit The Walker Art Gallery, home to outstanding works by Rubens, Rembrandt, Poussin, Gainsborough and Hogarth. For retail therapy, head to the bustling entertainment centre, Liverpool One or the exclusive Met Quarterfor designer brands and chic boutiques. Waterfront fine dining and swanky bars can be found at Albert Docks. Many restaurants are proud to use the high quality local produce such as Wirral and Formby asparagus, Southport shrimps, Knowsley lamb, and Liverpool beer and gin some of the stars of the scene. Leasowe Castle places you in serene Moreton, just 12km from Liverpool City Centre and just a 17 minute walk from Merseyrail station where you can catch a direct train to Chester. Leasowe Castle is a 16th century former residence that looks out over Leasowe Golf Course and the picturesque Livepool Bay. Mixing a traditional character with modern comforts and enjoying an upscale restaurant, Leasowe Castle is a quintessentially British castle just outside of Liverpool. A 4* hotel, Leasowe Castle is adorned in traditional and opulent decor with rich wooden furnishings, ornate rugs, and antique furniture. Rooms are elegantly designed and cosy, making them a perfect retreat after a windswept day on the coast. Here you will find a stylish bar where you can enjoy a cocktail or glass of wine in a classical setting as well as quiet manicured gardens for a leisurely afternoon stroll. 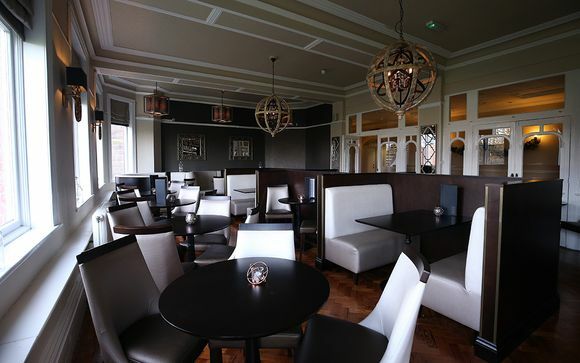 Dining is an elegant affair at Leasowe Castle at the on-site restaurant, serving British classics with an upscale twist. Leasowe Castle also hosts the Castle Club Health and Fitness Centre, providing a full range of fitness equipment. Treat yourself to stunning views, fresh sea breezes, and upscale cuisine with a romantic stay at Leasowe Castle. This offer is based on a Double Room. Just for you: Late check-out until 12pm. Spend your days walking along the windswept coast or exploring nearby Liverpool city and in the evenings, return to your tastefully decorated and cosy room. Having recently undergone a comprehensive refurbishment in 2016, rooms at Leasowe Castle are modern and comfortable whilst still retaining their original character and 16th century charm. In your room you will enjoy free WIFI access, tea and coffee making facilities, a flat screen TV with a selection of Freeview Channels, and a well-equipped private bathroom with a bath or shower. 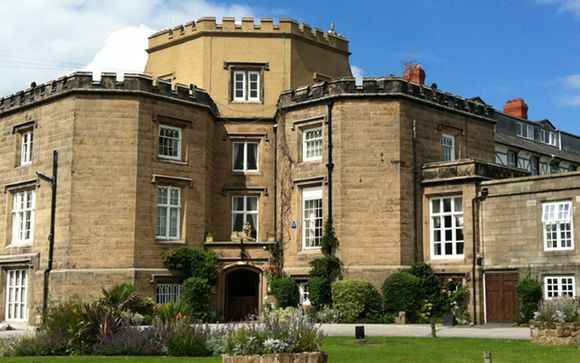 Enjoy a royal retreat to Leasowe Castle and treat yourself to quintessentially British cuisine with an upscale twist. Your taste buds will be delighted! Brasserie 1593: A new addition to The Castle, the contemporary Brasserie 1593 serves popular signature dishes accompanied by an array of fine wines. Open from 11am and offering all day and evening dining. Knights Cocktail & Lounge Bar: This elegant cocktail bar is the perfect place to start your evening off with an intriguing drink in a stylish environment.